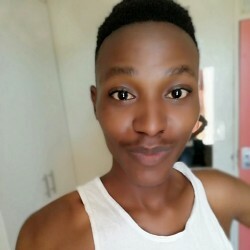 @Kurt_1991 is a 27 year old Bisexual Male from Pietermaritzburg, KwaZulu Natal, South Africa. He	is looking for Friendship and Chat. An intelligent brother who's into something more meaningful, like a long term relationship. You don't have to have six pack, even a brother with one pack is welcome, as long as you have self-esteem. Beauty is in the eye of the beholder, I might think ur hot, all you have to do is get in touch with me, I'll be the judge of that.